Rearing of fish in floating cages in natural ponds, lakes, and river is practiced extensively in Southeast Asia, but not in the U.S. 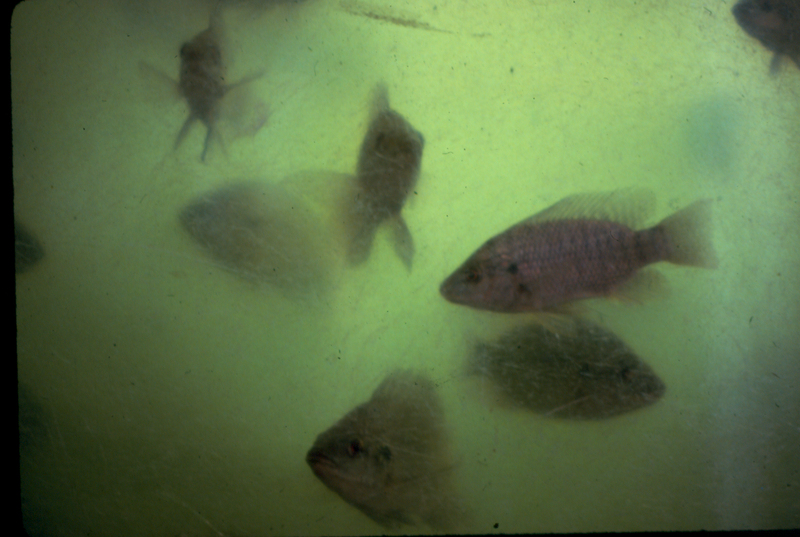 In cage culture, the fish are confined to a small space (the cage), but not a small volume of water. The advantages are that the fish are very easy to feed and harvest, their wastes are removed by natural currents, and on occasion the fish enjoy wild foods from the natural environment. With cage culture, anyone with access to unpolluted standing water can potentially grow fish for food or for sale.